Every special occasion deserves a memorable quilt Celebrate any important event in life, from an anniversary or a birthday to a retirement or a memorial, with these 40 beautiful blocks and 7 customizable settings. Created to commemorate the author's 40th anniversary of falling in love with her husband (and making her first quilt for him! ), you can read the story behind each block, then make it personal by stitching in your own memories and using blank blocks for personal dedications. Piece and applique the stunning sampler quilt, or pick and choose your blocks and setting to suit your own needs and taste. + Many blocks for lots of options! Stitch the sampler or make a quilt with repeated or selected blocks. + Easy-to-follow instructions from an experienced quilter, writer, and teacher. 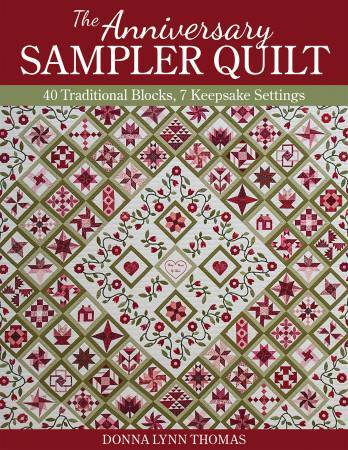 + Adjust the blocks and settings to make your quilt unique.